The last season of Game of Thrones marked an unprecedented turning point for the series, as the show moved on from mostly adapting the content of George R.R. Martin’s books to its own material. It made every new event in the show incredibly exciting—and the same can be said for the raised stakes in season seven. Here’s everything that we know so far. This post originally ran on November 4, 2016. It has now been updated to feature the latest information from reports surrounding the show as of April 6, 2017. You might have seen a few hysterical reports that THE WHOLE PLOT FOR GAME OF THRONES SEASON SEVEN HAS LEAKED OH GOD THE SKY IS FALLING, or something quite like that. But while we know a few very-significant-sounding events from the next season of the show, the supposed synopsis of every episode in season seven that has made the rounds amongst the press isn’t all it’s cracked up to be. The reports are based on a single Reddit thread on R/FreeFolk, a Game of Thrones subreddit, that saw a user invent their own synopsis for the season, attempting to weave all the disparate nuggets of information we do know about season seven so far into a cohesive whole. It is, as the user themselves says at the top of the post, simply speculation rather than an actual leak. So before we start discussing some of those spoilers below, you can be rest assured: we don’t know everything just yet. This much was obvious, considering season six ended with Daenerys and her combined forces, with the help of Yara and Theon Greyjoy, setting sail for Westeros at long last. But we have learned that Daenerys’ invasion of her homeland may actually happen much quicker than many fans might have expected. After seasons of umming and ahhing, the Mother of Dragons is moving with haste. There are at least two major areas in Westeros where Daenerys will make her mark. The first is the Targaryens’ ancestral seat at Dragonstone—which was occupied by the Baratheons up to Stannis’ death—pretty early on in the season, given that major meetings between her forces and other characters occur there (more on those later) in set reports. The other area is a lot closer to home for Cersei Lannister. Daenerys apparently reclaims an area called the Dragonpit, home to many major scenes currently being filmed. In the lore of A Song of Ice and Fire, the Dragonpit was where Targaryen rulers housed their draconic pets—ideal for Dany’s brood—and located very close to the city of King’s Landing itself. If Daenerys is setting up shop there in season seven, it means she’s within striking distance of retaking the Iron Throne itself, if she hasn’t conquered the city already. Following Cersei’s explosive move against Margaery and Loras in season six, the former allies are now in pretty much open warfare. It’s a war that will involve the show going to two iconic locations from the books, never seen on screen: the Lannister seat of Casterly Rock, and the Tyrell’s ancestral home, Highgarden. As indicated by the fact that most of their forces in King’s Landing are now part of a smoking green hole in the ground, Highgarden’s appearance in the show is not going to be a happy one... mainly because it seems like the Lannisters are going to invade and take over the flower-laden castle for their own. Filming last November at Trujillo Castle in Cáceres, Spain featured scenes of Lannister soldiers alongside Jamie and Bronn mounting Lion-covered flags on the parapets. The castle is believed to be standing in for Highgarden after their assault. The Lannisters won’t be alone in their attack on Highgarden, either—because the Tyrells are going to be betrayed by one of their own vassals. Set pictures show a mass of Lannister soldiers marching under the command of Jamie Lannister... who is going to be joined by Randall Tarly, Sam’s father. The Tarlys will apparently have a much larger role in the next season, as part of this storyline covering their betrayal of the Tyrells. The next Battle of the Bastards? Part of Daenerys’ invasion seems to include what is essentially season seven’s answer to last year’s “Battle of the Bastards”—the epic battle between Jon Snow’s northern rebels and the Boltons. Many reports about this major new action sequence for the show have come out recently, and it’s evolved over time; the first rumors indicated that the battle would be primarily fought at sea, between Lannister-allied forces and Yara and Theon’s fleet, while also encompassing a minor land battle. That seems to have flipped, with now the majority of the sequence being a land-based battle featuring around 450 extras, making it almost the same size as the Battle of the Bastards. However, the event is described as being less like a traditional battle and more like an ambush by Daenerys’ forces. The latest rumors indicate that Daenerys herself could take to the field, atop one of her dragons, and that her armies are ambushing a convoy of Lannister forces—rumored, but not confirmed, to be lead by Jamie Lannister—on the way from their occupation of Highgarden. Considering it seems like Daenerys sets up shop in Westeros pretty quickly, this major battle could take place early on in the season. One of the biggest things we know about this season is that it seems like Daenerys will find herself with at least one major ally in Westeros when she arrives, and it’s none other than Jon Snow himself. Scenes recently filmed on location in the Basque country in Spain saw Jon and Davos Seaworth make landfall at Dragonstone, greeted by Tyrion, Missandei, and several Dothraki and Unsullied. Oh, and Theon too, which looks to be like less of a happy reunion for Jon. 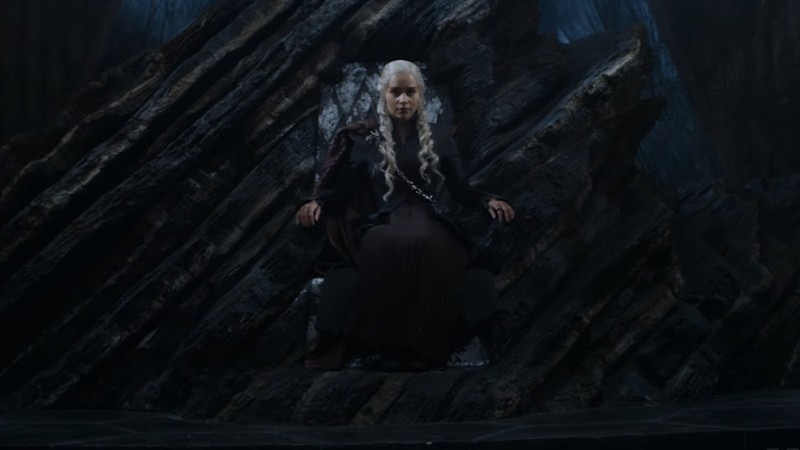 All this leads to a moment fans have been waiting for and speculating about pretty much since the show began: Jon Snow will meet Daenerys Targaryen for the very first time. And, considering other events we’ll discuss later, it seems like the two will unite their forces in an attempt to wrestle the Iron Throne from the Lannisters once and for all. Jon isn’t the only familiar face showing up on Daenerys’ doorstep at Dragonstone this season. Another long-absent character from Game of Thrones will seemingly be involved with events at the castle: Gendry, the illegitimate son of King Robert Baratheon, last seen merrily sailing away from the clutches of Stannis and Melisandre in season three. Actor Joe Dempsie was spotted in Belfast when production on the show there began a few months ago, but recently set images came out confirmed that Gendry would again appear in the show, seemingly meeting Tyrion and Davos Seaworth along the shore below Dragonstone once more. While we don’t have any clues as to what Gendry will be doing in the next season—presumably he’s just knackered from rowing for the past four years—or how he’ll fit into Daenerys’ plans, his return seems like it could play a major role in helping to destabilize Cersei’s grip on the Iron Throne. They’re not all pleasant returns, however—recent reports seem to hint that David Bradley has updated his resume to include a credit for season seven, indicating that the villainous Walder Frey will appear in the show again. That should be quite a challenge considering Arya slit his throat last year, but as we speculated earlier this year, it’s possible Frey’s reappearance is through a flashback scene, or perhaps even as a face Arya uses for disguise. Hell, we even guessed he could somehow become the show’s equivalent to Lady Stoneheart, and be a resurrected zombie-Frey. Anything’s possible on Game of Thrones! Daenerys isn’t the only one making big new alliances next season—hell, she’s not even the only one teaming up with a Greyjoy. Apparently Cersei will ally herself with Euron Greyjoy himself, sending him off to fight his own relatives (and, apparently, capture one of them—rumored to be Yara rather than Theon) at sea and presumably shore up Lannister defenses in preparation for Dany’s arrival. Euron will also apparently help Cersei deal with the Martells and the Sand Snakes this season. There have been reports that he would kill at least one of the Sand Snakes to appease Cersei, but more recent images from the set have shown Euron marching through King’s Landing with the goldcloaks, with Yara Greyjoy, Ellaria and Tyene Sand in chains behind him. The absence of Nymeria and Obara in those pictures seems to indicate that they will face a grisly fate at Euron’s hand at some point. 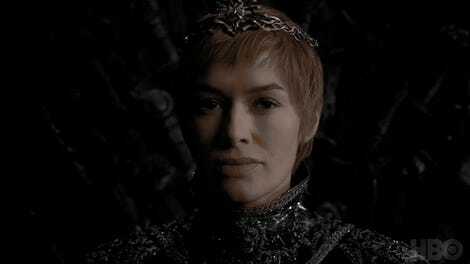 But Queen Cersei is, in her typical style, also making some big enemies in the capital, too, aside from the Tyrells. Recent reports indicate that Tycho Nestoris, the Iron Bank of Braavos representative played by Mark Gatiss in season four and five of the show, will head to King’s Landing next season, looking to collect on the many loans the crown has made from the bank since Robert Baratheon took the throne. Reports about Nestoris’ role in the season indicate that Cersei will make a hugely important decision involving him, with major ramifications for the show going forward. Considering the Iron Bank is known for supporting the enemies of those that stiff it out of money, could Cersei renege on the popular belief of Lannisters always paying their debts? We know that the Dragonpit will be a monumentally important location in the upcoming season, not just because of Daenerys’ presence there and its proximity to King’s Landing, but because there have been tons of rumors about basically almost all of the principle cast filming scenes there, in what could possibly be the biggest reunion of the show’s ensemble cast pretty much since Game of Thrones began. Obvious choices like Emilia Clarke have been spotted filming in the two locations believed to be being used in Spain for the Dragonpit—the amphitheater in the Roman ruins of Itálica and the Royal Dockyards at Seville—in recent months, but an absolute ton of actors from the cast have been rumored to film scenes there as well, including what could be some of the climatic scenes of the season. A recent report indicated scenes being filmed that include seventeen members of the principal cast, including Jon and his allies, Daenerys and her retinue, Cersei, Jamie, and the Lannisters, and even, bizarrely, Sandor Clegane. On top of being a confluence of major characters, the Dragonpit’s importance becomes very clear in reports that, during this major meeting of characters, someone (presumably Jon Snow?) will shock the gathered host by revealing a White Walker, reminding everyone involved—pretty much every major player in Westeros and beyond—that the threat of legends and hearsay is in fact very real. A lot of what we’ve heard about season seven so far is isolated to the south of Westeros and the impending conflict between House Targaryen and House Lannister—so what of the North and Beyond the Wall? Actually, we’ve heard hardly anything about the North so far, especially with the news that Jon, Brienne, and Davos will be riding south to meet with Daenerys. There’s one major, still unconfirmed exception, that could take place next year. Paparazzi pictures that emerged in from filming in September 2016 seemed to indicate that Maisie Williams (Arya Stark), Isaac Hempstead-Wright (Bran Stark), Kit Harington (Jon Snow), and Bella Ramsay (Leanna Mormont) were all filming at the same time at studios in Belfast together. While this doesn’t necessarily confirm that all the actors are filming scenes with each other—the images were of the actors emerging from makeup trailers, rather than actually filming—it’s led to a lot of speculation that the shattered remnants of the Stark family could come together at long last. While Bran was left beyond the Wall last season, we do know at least Arya is back in Westeros, so a reunion of the Stark kids and their allies in the north could be on the cards. It’s just not a plot point that’s as concrete as others we’ve heard about. Speaking of Starkian reunions, there’s also been talk that Arya could be reunited with her beloved Direwolf Nymeria, who was last seen in the very first season of the show. Reports of Maisie Williams shooting scenes in an area typically associated with where the show shoots wolf footage to turn into its CG direwolf creations seem to hint she’ll be spending some time with a direwolf in the next season. The grim process of elimination rules out everyone but Ghost and Nymeria at this point in the show, and considering Williams was allegedly shooting with a wolf that doesn’t match Ghost’s appearance, it seems like an old friend could show up after all. So now we’ve got all these nuggets, when are we going to start seeing them play out? In July, as HBO finally confirmed the season seven premiere date last month with what was a truly excruciating-to-endure livestream focused on a block of ice failing to melt at anything other than what could be described as a glacial pace. But you don’t have to suffer as we did now. The show’s back on July 16th. Be prepared! While a lot of these sound like major events for Game of Thrones, there’s still a lot that we don’t know about the next season—and with no book material to draw upon, anything could still happen. Stay tuned to Morning Spoilers in the future to see what else we learn about Game of Thrones before it returns to our TV screens in July. What Dark, Terrible Things Will Game of Thrones Do to Jim Broadbent?